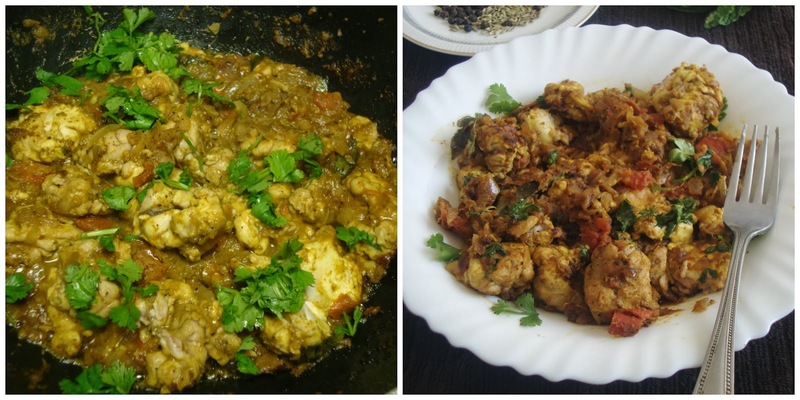 Brain fry / masala is a delicacy and favorite non-veg dish in South India; very easy to prepare as well! Wash the brain and cut into 4 pieces each using a sharp knife; keep aside. Add pepper, cumin seeds and fennel seed into a mixie jar and grind into a coarse powder. Keep aside. 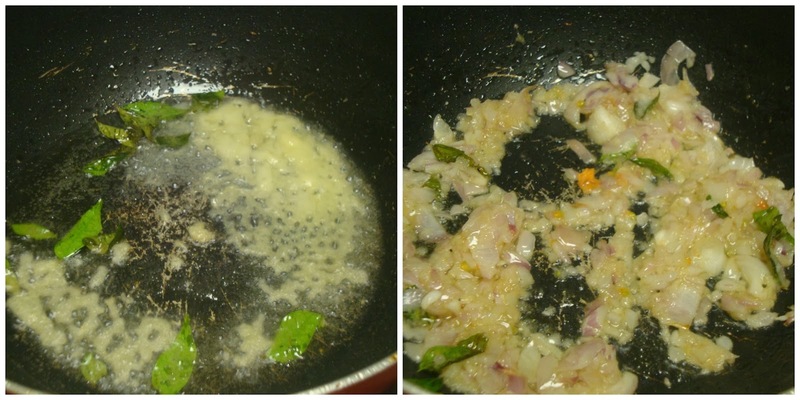 Heat oil in a kadai; add ginger garlic paste and curry leaves. Saute for a minute and add finely chopped onions. 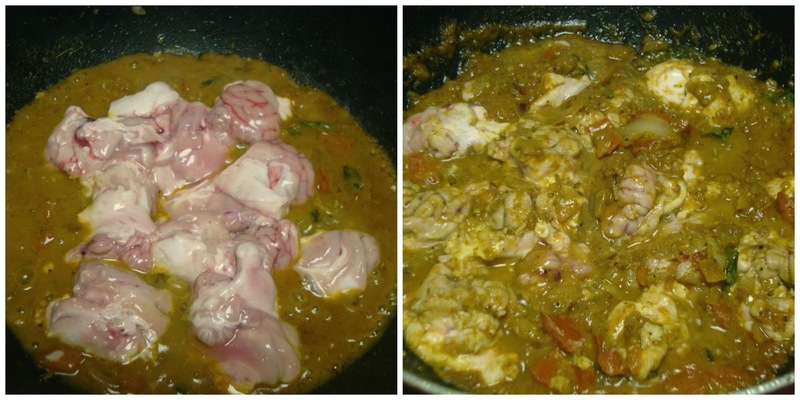 Saute till the colour changes; now add tomatoes, red chilli powder, coriander powder, pepper mixture and salt. Fry till the tomato melts. 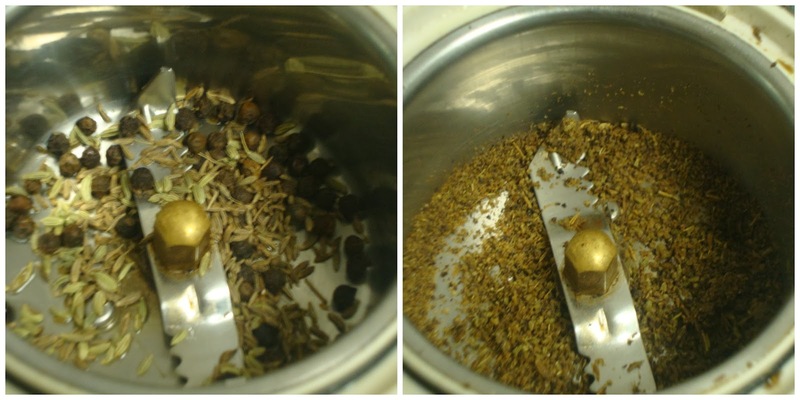 Add little water and allow to cook till raw smell of the masala goes off. Now add the chopped brain; close the pan with a lid and cook in medium flame for 8 to 10 minutes till the brain is cooked and oil separates. Once it done; garnish with corriander leaves and serve. 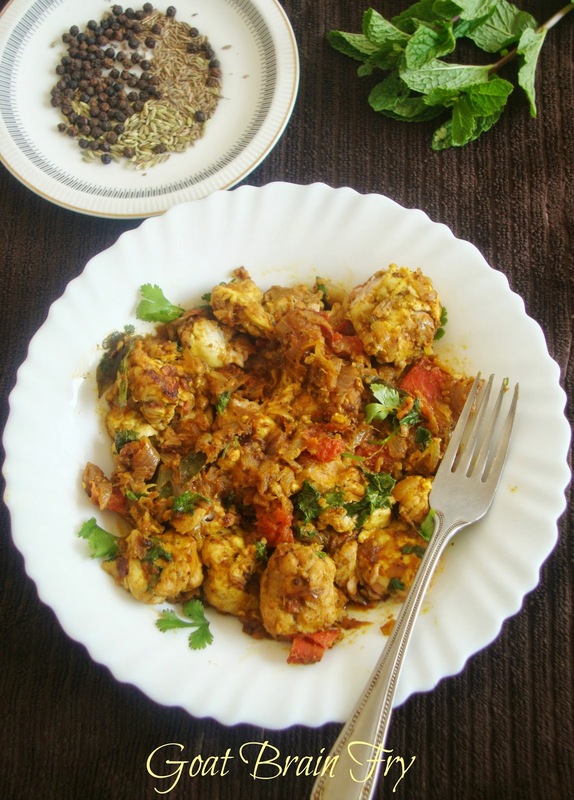 Makes me drool, love brain fry very much..
Have not tasted this dish but sounds So tasty. Your photos making me hungry! Sunday morning, ippadi tempt pannalaama??? It looks good but when to add the pepper-cumin-fennel mixture. If I did not look right sorry. Thank you for mentioning, corrected now. 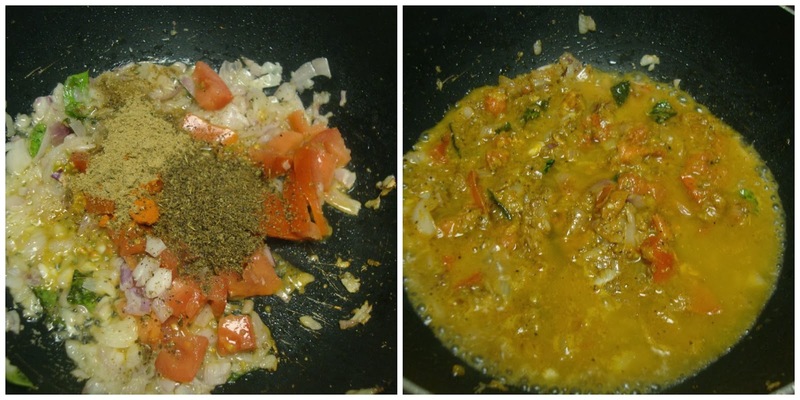 Add pepper-cumin-fennel mixture along with the spice powders.